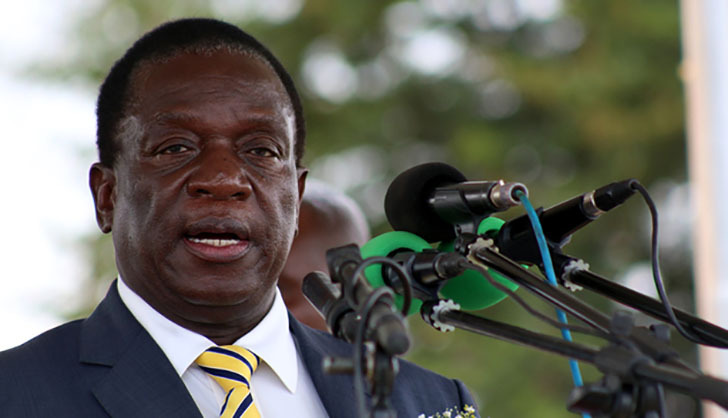 Pressure is mounting on President Emmerson Mnangagwa regarding his planned trip to the World Economic Forum (Wef)'s annual meeting in Davos, Switzerland, next week - amid Zimbabwe's worsening political crisis, the Daily News can report. This comes as plans are afoot by Mnangagwa's seething opponents to confront and embarrass him when he appears at the meeting - as public anger over the cumulative events of the past few days mounts. Should the threatened demonstrations and public haranguing of Mnangagwa go ahead as planned, it could mark a major setback on the international stage for the 76-year-old Zanu-PF leader who has been pushing very hard - albeit unsuccessfully thus far - to normalise Zimbabwe's frosty relations of the past two decades with Western powers. Well-placed sources confirmed the plans to the Daily News yesterday, adding however, that the "logistics of mounting the project" were proving to be a major challenge as there is always heavy security in Davos when the annual Wef gathering gets underway, as many leaders of powerful nations attend the jamboree. "It's true that some people are planning to demonstrate against Mnangagwa in Davos for his and his government's sins of commission or omission. "The only issue that has not been resolved is how to overcome the tight security there, to make the demos visible and effective. As you know, a similar plan by elements of the G40 to demonstrate against him there last year fell apart because of the same challenges," one of the sources said. A Zanu-PF insider said there were concerns that the planned protests could happen, noting ruefully that with Mnangagwa's international standing beginning to suffer "serious erosion in the West, protesters could this time gain some sympathy" and thus be able to mount a successful demo. "The president is in Davos for business and surely he cannot ditch such an important meeting because of demonstrations either at home or abroad. "Zimbabwe needs time to grow the economy and government will not be deterred by protests. "We know where we are heading to… we are committed to the economic success of the country, but along the way there will be reactions from the public and at the end everyone will be happy," Mutodi told the Daily News. This year's Davos meeting comes as Zimbabwe is reeling from a mega economic crisis which has been further exacerbated by steep increases in the prices of fuel announced by Mnangagwa last week. On Monday, thousands of fed up citizens, among them workers - heeded calls by the Zimbabwe Congress of Trade Unions (ZCTU) to stay away from work in response to Mnangagwa's unpopular decision to hike prices of fuel - prompting riots and the subsequent mayhem witnessed in Harare, Bulawayo and several towns, this week. As a result of the government clampdown, civic society organisations (CSOs) have sent distressed calls to the African Union (AU) to intervene in the country's worsening political crisis. Meanwhile, pressure continued to mount for Mnangagwa and his government to halt widening rights abuses by the security forces across the cities and towns which witnessed this week's riots. The United Kingdom (UK) minister for Africa Harriet Baldwin on Thursday summoned Zimbabwe's ambassador to the UK, Christian Katsande, to discuss the growing crisis and "disturbing reports of use of live ammunition, intimidation and excessive force' against protesters". Baldwin's statement noted the deaths of several people during the stay away. "We are deeply concerned that Zimbabwe's security forces have acted disproportionately in response to actions such as arson and looting," Baldwin said. The United Nations human rights office yesterday also denounced the "excessive use of force" by security forces against protesters. "It's very difficult to manage a situation like this, but the bottom line is that the use of live ammunition by security forces was used, excessive violence was used," UN spokesperson Ravina Shamdasani told reporters in Geneva, Switzerland. "I think it's a reasonable request that the president comes back and sorts out issues. The problem with the trips is that he is going to worsen the Zimbabwe image because the questions that he is going to be asked by journalists are about the deteriorating situation back home. "Unlike his first attendance at Davos, where the world was more concerned about his vision, people are now curious about what is happening in the country," said political analyst Rashweat Mukundu . He implored Mnangagwa to engage opposition leader Nelson Chamisa and the country's civic society in meaningful dialogue to resolve the current crisis. "The mistake… made was to think the coup and elections were a cure to the country's economic problems," he added. University of Zimbabwe social sciences lecturer Tawanda Zinyama said it would be politically "wrong" for Mnangagwa to appear at Davos especially when there were growing concerns at home. "It is important for the president to cut short his trip. The American president Donald Trump and France leader Emmanuel Macron are not travelling to Davos because their situations domestically do not require their absence. "He (Mnangagwa) cannot say Zimbabwe is open for business when property is being destroyed. Which investor will be foolish to invest in the country when the situation is like this?" Zinyama queried.